A sedilia usually consisted of three seats and was placed on the south side of the choir for the use of the clergy. 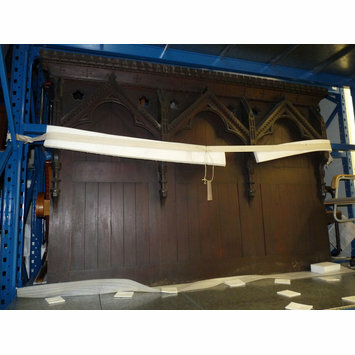 This example is part of a collection of furniture from St. Columba's Church, Haggerston, a building designed by James Brooks. The furniture was probably also designed by Brooks as it is very similar to the pieces he designed for St. Michael and All Angels, Shoreditch, illustrated in The Building News, November 23rd 1866, page 781. 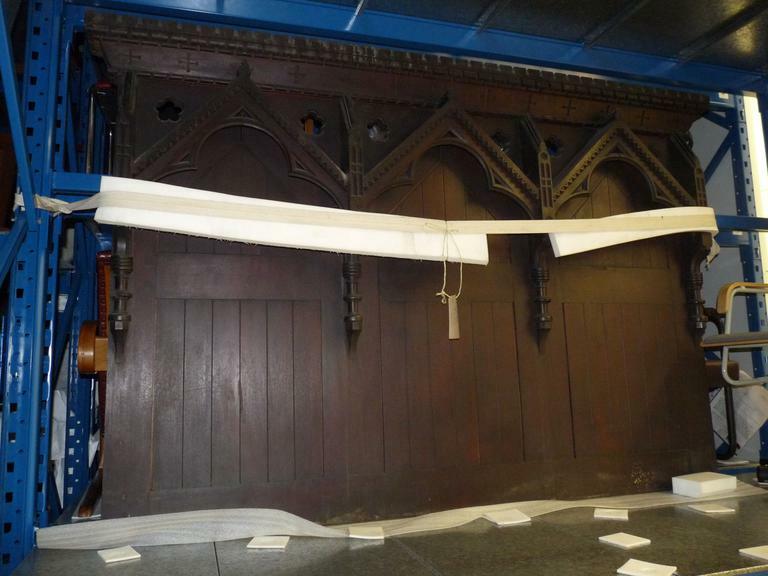 The sedilia was among the collection of furniture offered to the Museum before the closure of St. Columba's as an Anglican church in 1983. 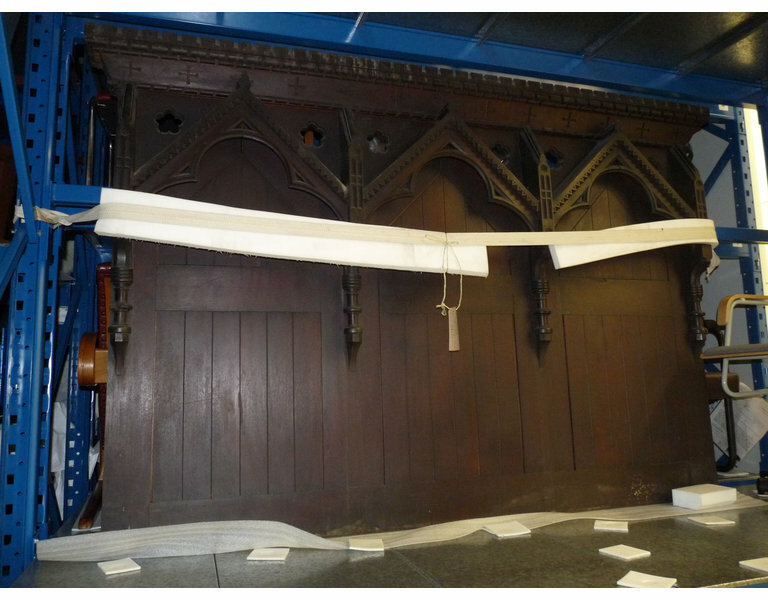 When inspected in St. Columba's in September 1983, the back of the sedilia formed a reredos to the side altar at the south west corner of the church and the seat section was in the choir. The church of St. Columba, Haggerston, was designed by the architect, James Brooks, built 1868-9, and consecrated in July 1869. St. Columba's Church was declared redundant in 1975 when the parish merged with that of St. Anne, Hoxton. St. Columba's closed as an Anglican church in 1983.